Why support Women's March Oakland? 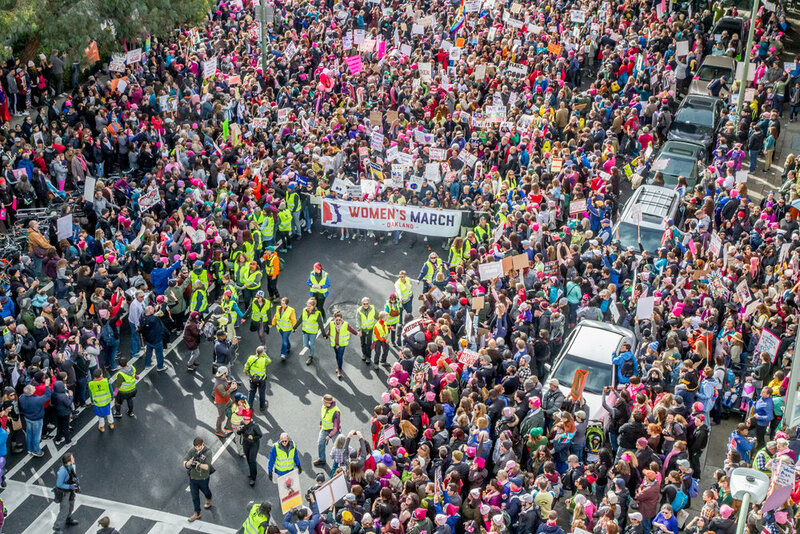 Sponsoring Women's March Oakland is the best way to show your organization's support for harnessing the political power of diverse women and their communities in Oakland and the East Bay to create transformative social change. Contributions will benefit Women's March Oakland, a nonprofit project of Social Good Fund, and are tax-deductible. On January 21, 2017, more than 100,000 women and their allies marched in Oakland, part of a global mobilization of 5 million people for women’s rights, human rights, social justice, and civil liberties. Since that day, Women’s March Oakland has continued to build our group of supporters and we have reached tens of thousands of people through our programs, outreach and social media. Together, we can grow even stronger. On January 19, 2019, we will march again in Oakland. Now, more than ever, we need your help. As a local community leader, your support speaks loudly to everyone in Oakland and beyond who will participate.